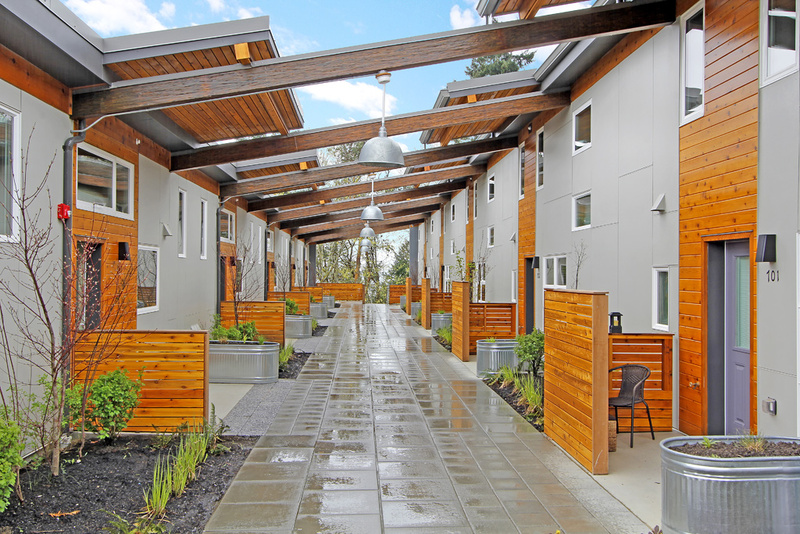 For their newest multifamily development, the Puyallup Tribal Housing Authority set ambitious design and performance goals for providing affordable, energy efficient housing that pays tribute to the cultural heritage of the community. The Puyallup Longhouse (Place of Hidden Waters) in Tacoma, WA is located on a bluff overlooking the Puget Sound tidal flats. The project was designed to resemble a traditional shed roofed Coast Salish longhouse with a modern townhouse courtyard layout. 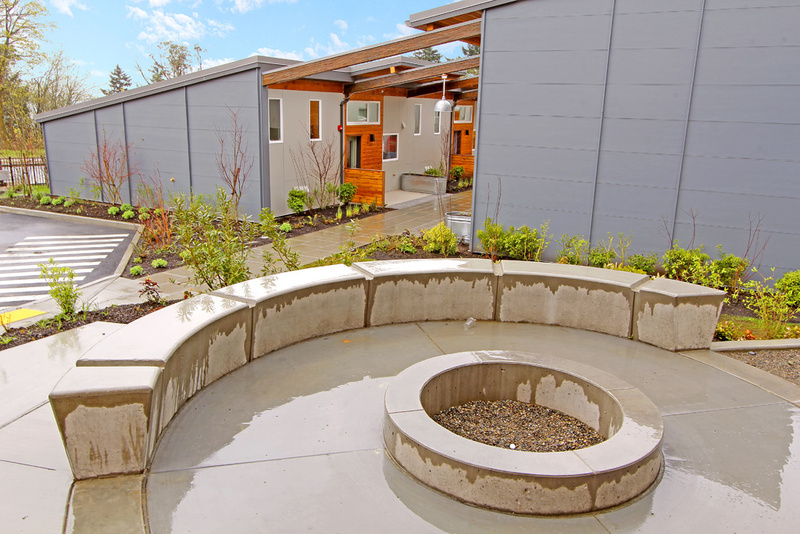 Phase I includes 10 one- and two-bedroom super-insulated homes (8,000 sf), a major renovation and addition to an existing gymnasium (7,860 sf), a sweat lodge enclosure with a fire pit, and landscaping of a 5-acre wildlife park area. A highly efficient central geothermal heat pump system provides space heating via radiant floors as well as domestic hot water for all the units. 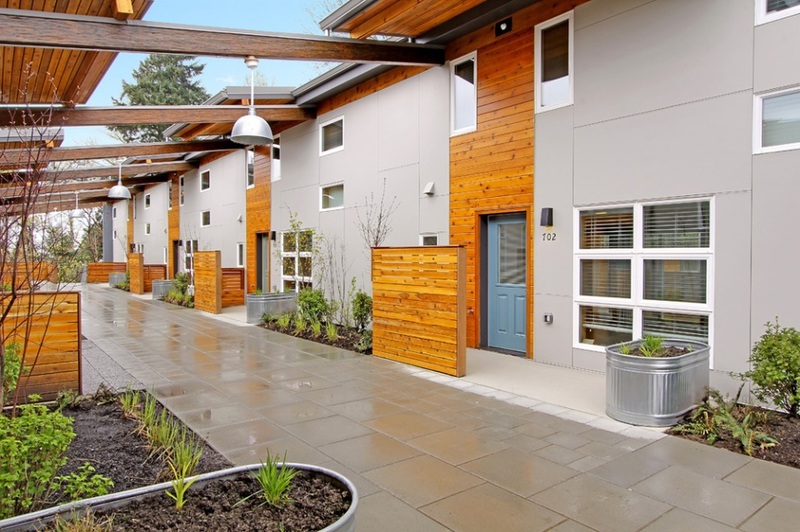 Phase 2 provided 10 additional housing units using VRF heat pump technology including the first use of VRF heat pumps for domestic hot water production in the Pacific Northwest. Providing affordable housing with extremely low operating costs was a key factor in the selection of the ground source heat plant. First year operating costs average $17/month per unit for space and DHW heating. This housing project is a model for other new tribal affordable housing projects throughout the region. 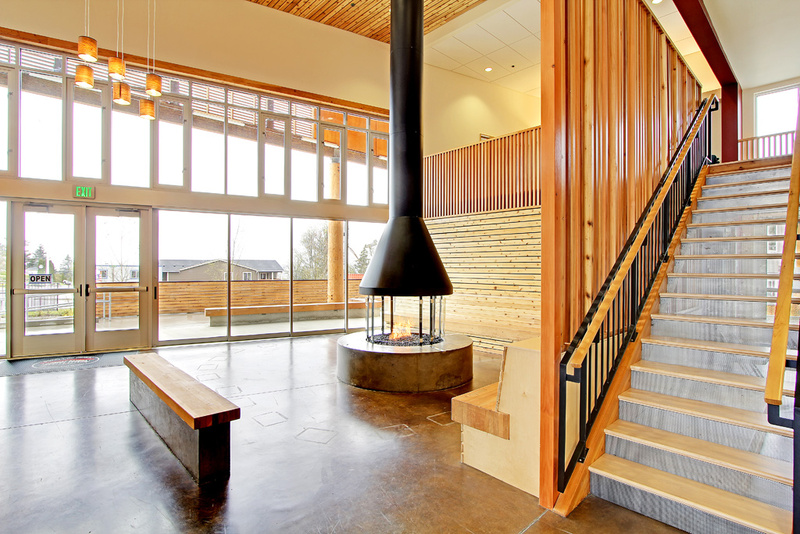 LEED for Homes 2012 Project of the Year by the U.S. Green Building Council. It is also among six projects worldwide to be honored with a SEED (Social Economic Environmental Design) Award for Excellence in Public Interest Design for 2013. Winner 2013 ASHRAE Technology Award from Region XI.